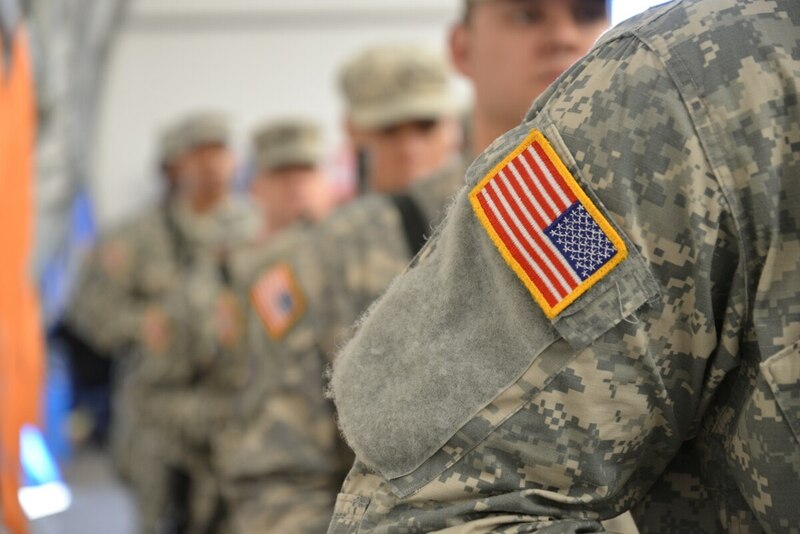 Soldiers stand in formation during a deployment ceremony for the 392nd Expeditionary Signal Battalion, which will be heading overseas in support of Operation Enduring Freedom – Spartan Shield. More than 500 family members and friends attended the ceremony on Saturday, March 26, 2016 on Fort Meade, Md. The number of r​Reserve component members who died by suicide — including those from the Army, Navy, Air Force and Marine Corps reserves as well as Air and Army National Guard troops — rose to 209 from a four-year low of 170 in 2014. Figures for the active component have remained relatively steady since peaking at 321 in 2012, but they are nearly double the number before the Iraq and Afghanistan wars. The Defense Department has stepped up its suicide prevention and awareness campaigns in the past five years to reverse the climb in suicides, establishing the DoD Suicide Prevention Office in 2011 to spearhead suicide awareness and prevention efforts within the department and individual services. Suicide prevention experts say the high number of reserve and National Guard deaths may be linked to fewer resources for these troops, who may not have the same access to support services and mental health care as active personnel. The quarterly DoD reports are issued to "allow leaders at all levels to have near-concurrent information that facilitates decision-making" related to prevention. The 2015 report drew no conclusions about the figures other than noting that a decrease in the fourth quarter, and increase in the reserve component deaths, may warrant additional comparative analysis to see if the changes are statistically significant. In-depth analyses of military suicides and attempts in a calendar year are issued annually by the Defense Department. The 2014 Department of Defense Suicide Event Report, which examined the rate of suicide in the services, demographic trends including age, gender, rank and marital status, as well as known or suspected causes of suicide behavior, was released in January 2016.